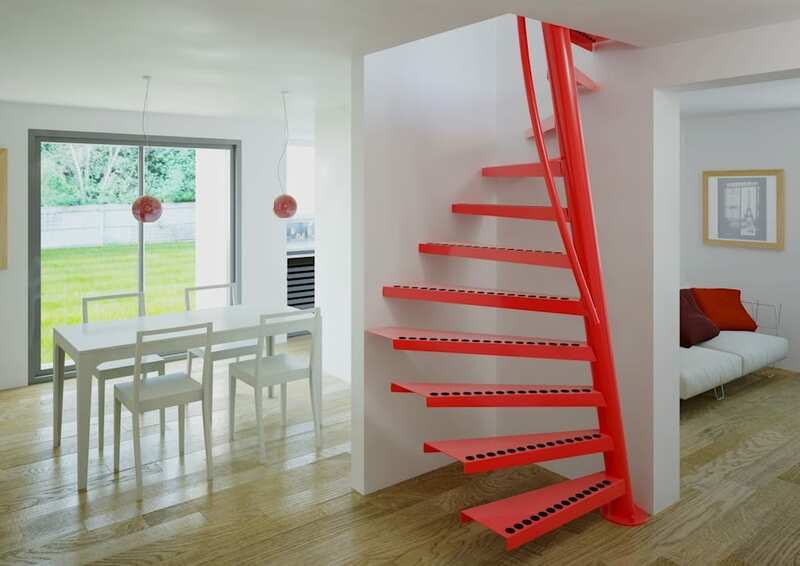 Now you can enjoy a beautiful, functional staircase where conventional staircases are not practical. EeStairs’ new space saving stairs allow you to do more with less. Limited space There are many situations where a property can be enhanced by creating a useable space from a redundant upper level; however a consistent factor is limited space. The introduction of a staircase to provide access to a proposed upper level will invariably compromise the floor space below where originally no stair was intended. EeStairs unique patented 1m2 staircase® EeStairs have developed the 1m2 ® staircase; a functional, stylish and safe solution designed to fit into openings of just 1m x 1m. EeStairs hold the patent to this unique space saving staircase and there is a license available to our business partners. The 1m2 ® staircase is an excellent example of how a practical problem can lead to an artistic solution.